Today the #PlayfulPreschool team is sharing activities and lessons for learning about weather. I’m excited to see all of the great ideas because although weather is one of the things that is easy to teach Shiloh, it is difficult to help her understand the effects or representations of weather. 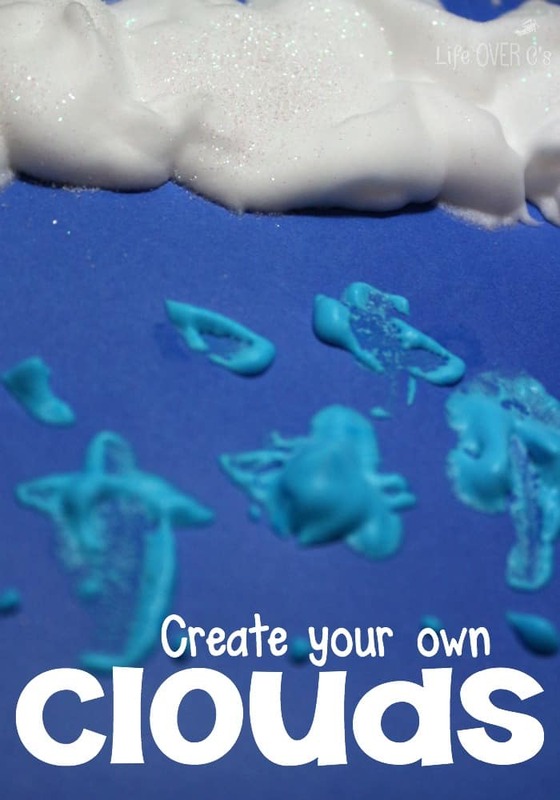 As she showed last week, she is very much into art projects right now, so I’m going to show you can create your own clouds with your preschoolers. 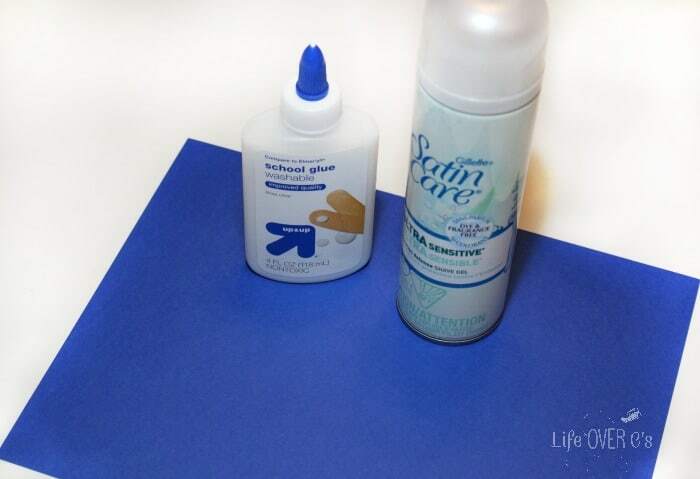 Mix equal parts glue and shaving cream. Today, I used 1/4cup each, but the quantity doesn’t matter as long as the proportions are the same. This is a good time for the kids to work on their daily living skills by helping with the measuring and mixing. Then, we separated part of the mixture and added a dollop of blue food coloring so that we could create rain in our picture. 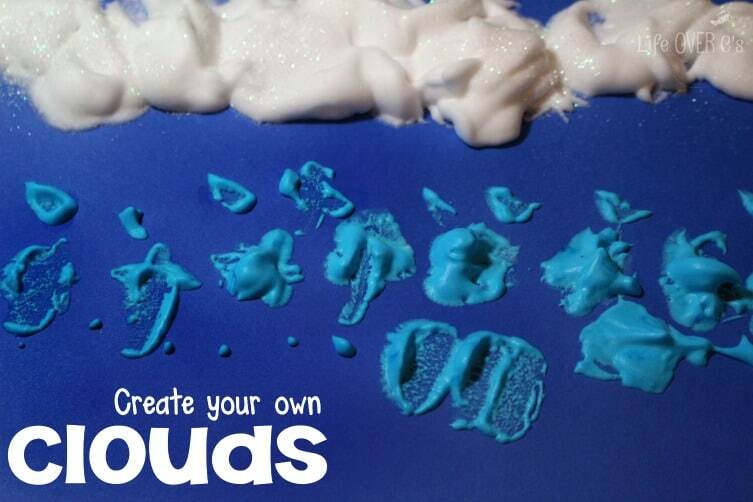 We used the foam brushes with the white mixture to create clouds across the top of the paper. The puffier the better. Then, we used the blue mixture to create raindrops falling from the clouds. It was very fitting that as we were doing this project, it was raining outside! Then, we sprinkled the clouds with glitter just for fun. Set aside the project and you can observe the changes that the mixture makes as it dries. After the mixture dries the clouds will become mostly solid. Then you can try out this idea that my kindergartener did last year! Be sure to check out all the other create ideas from the #PlayfulPreschool team! Oooh, the kids would love this messy, but oh so cute craft project! Such a messy activity. I bet this was fun. We love using shaving cream and glue paint. It has such a nice effect when it dries. I love your idea of using it to make clouds. We will have to try it out! The clouds looks so nice and fluffy after they dry! So much fun! My son would be super excited to create clouds like this. 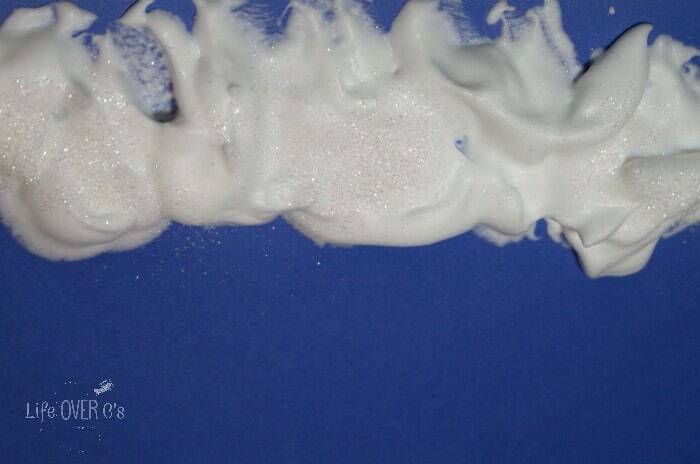 My kids adore playing with shaving cream. We do it in the bathtub for easy clean-up! Ohhh a fun art experiment – I’ll be giving this a go. I have my fingers crossed that our PVA glue is the same as school glue.